Green Hours JAZZ Fest – X has the pleasure to present an unusual & interactive concert. During the performance, the kids in the audience can interfere and influence the music of the artists through a mobile application. A specially designed educational program of Tin Men, for children and other young pupils and music schools disciples. 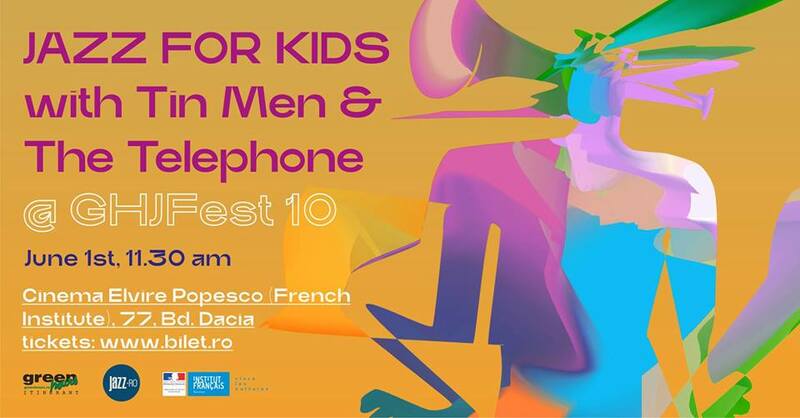 Event presented under the umbrella of JAZZ FOR KIDS, an exquisite concept proposed and developed in Romania by our friends and collaborators from JAZZ.RO.